Laurie Here - Contemporary Fiction and MORE - Book Reviews: The #NYTimes Top 15 (20) #Bestsellers for the week ending Nov 16th, 2014 PLUS BLOG UPDATES! The #NYTimes Top 15 (20) #Bestsellers for the week ending Nov 16th, 2014 PLUS BLOG UPDATES! Welcome to another week of the BEST of the BEST in books! Plus, we'll find out what's going on at the blog this week, too! As always! This post is always up by NOON every Sunday, and most of the time earlier! This Thursday is THANKSGIVING! I would love to wish you ALL a HAPPY THANKSGIVING! I want to wish each and EVERY ONE OF YOU A HAPPY THANKSGIVING ALLLLLL WEEKEND!!! There are some FUN THINGS to look forward to, so keep reading!!! GIVEAWAYS are always posted in the LEFT SIDE COLUMN! They are always changing! Make sure to enter what's there because there are some GREAT ones going on right now! THIS *NEW* GIVEAWAY - THANKFUL FOR #CASH $250 #GIVEAWAY (The little turkey dude! It was literally 'just' posted as I was typing this up! I had to stop and get it posted! You can enter to win MONEY!!!! $250!!! Perfect to win that right now! Bloggers (myself) and others as well as some authors, too, have all chipped in money to give this away! Come on over and enter to win! Click HERE! We have switched over from giving Kindle HDX's away because Amazon has changed ALL of the pricing around, plus, if you already have one, you don't want another! This gives YOU the ability to use that $250 however YOU want to! COOL!!! The day AFTER Thanksgiving is BLACK FRIDAY! Instead of standing in line in the stores, come here to the blog (no link YET!) and enter THIS BLOG HOP! The BLACK FRIDAY BOOK BONANZA! Hosted by Caffeinated Book Reviewer and by Book Shelfery! GREAT blogs/Hosts! It ONLY LASTS 4 DAYS! From FRIDAY, NOVEMBER 28th to Sunday, NOVEMBER 30th! So you definitely want to get your hopping done and enter ALL OF THE BLOGS' GIVEAWAYS! AND FAST!!! HEADS UP!!!!! 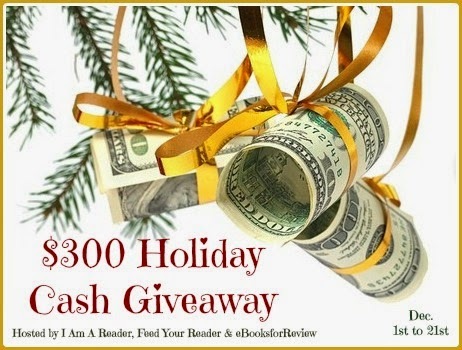 MONDAY, DECEMBER 1st STARTS the $300 Holiday CASH GIVEAWAY!!! Not many people know about this YET, so YOU are some of the FIRST! Mark your calendars! This runs from 12-1 to 12-21! It looks like this just so you know when you spot it! A Home for Christmas by MK MCCLINTOCK - TUESDAY! All I Want for Christmas is You by Jessica Scott - TUESDAY! A Christmas Reunion by Susanna Fraser - WEDNESDAY! Christmas in July by Debbie Mason - THURSDAY! 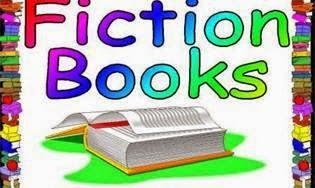 ALL links DO go to the Kindle version of the books, however, if you want a different version of the book, while you are at the book, click on the version you prefer, and it will take you there! Thank you to ALL OF YOU who purchase books through these links I provide here! The money goes right back into ALL of the Giveaways I provide for you here on my blog! All of the cash giveaways AND the book giveaways come out of my pocket, and since I cannot work, it can get expensive! Therefore, I am EXTREMELY grateful when you choose to purchase and support my blog by purchasing through all of these links I provide! Thanks SO MUCH for stopping by again this week! I appreciate your coming by! Leave a comment and tell us what YOU are reading!